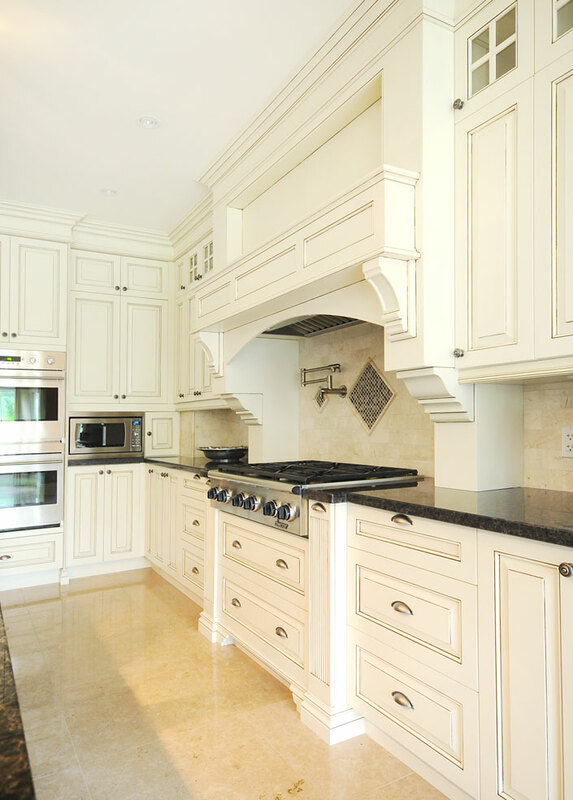 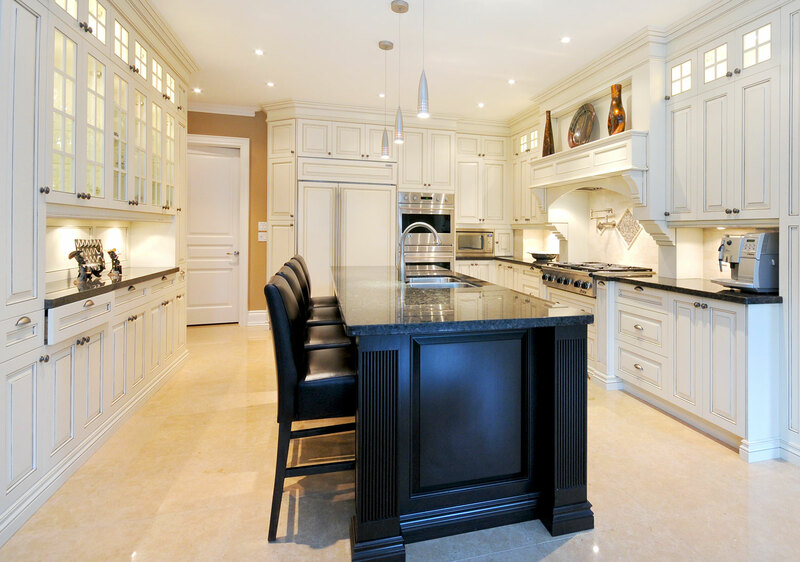 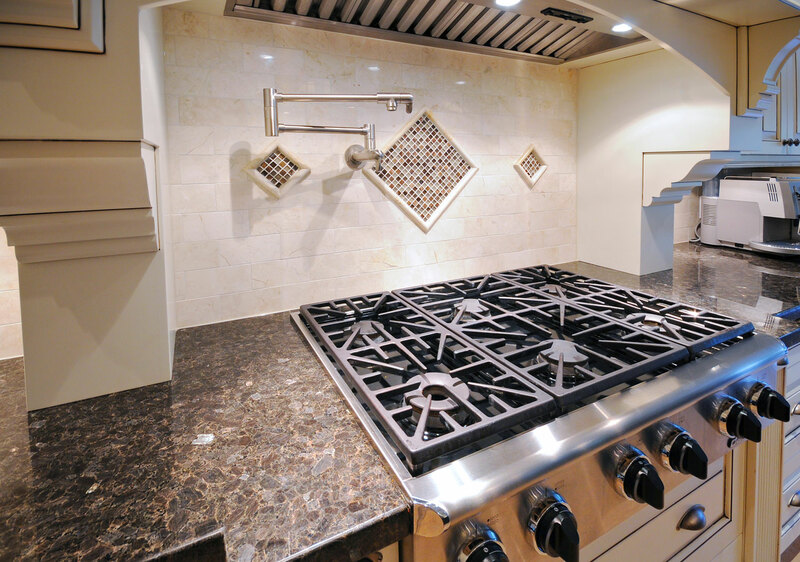 Traditional kitchen with custom made canopy decorated with corbels, spice pull outs, paneled fridge, and glazed upper door cabinets. 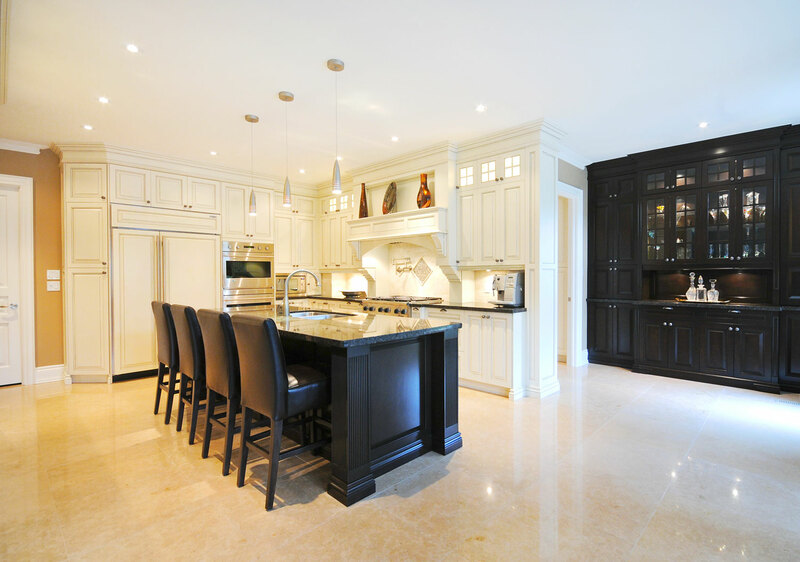 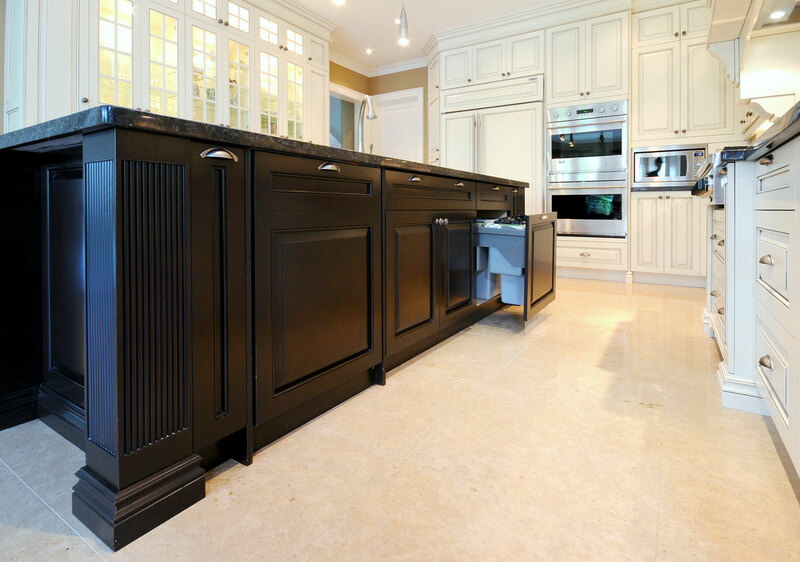 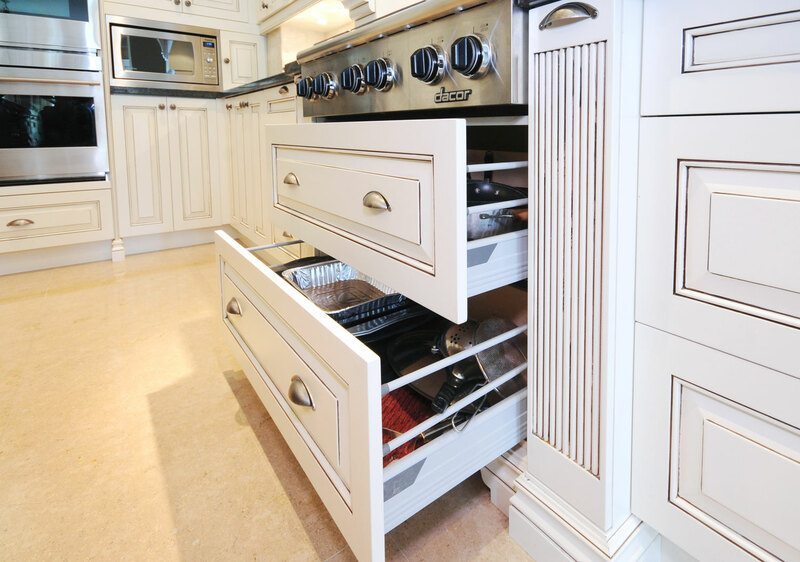 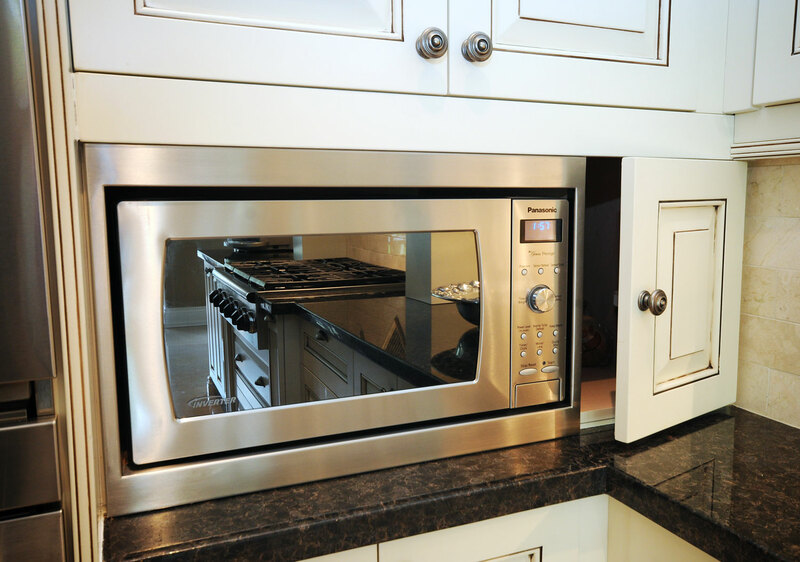 This Kitchen has a dark brown stain island with four integrated posts on each corner. 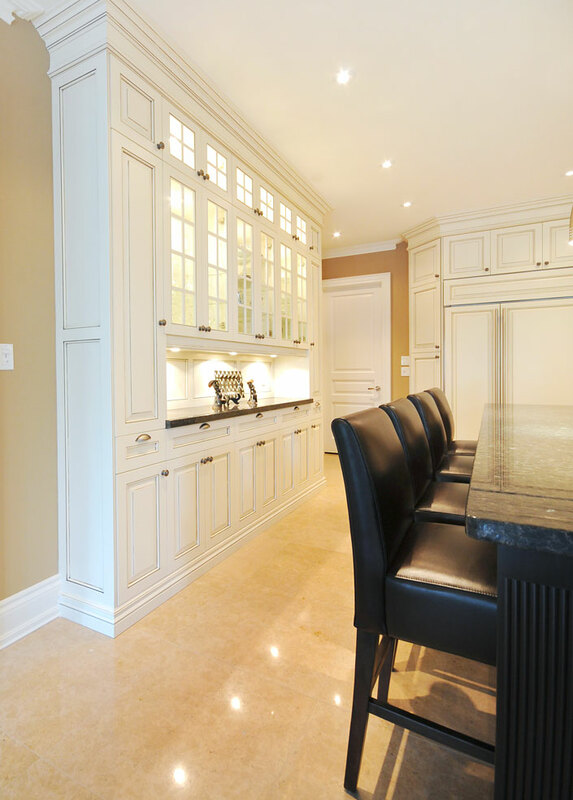 Alongside the kitchen there is a custom full height credenza finished in matching island stain.